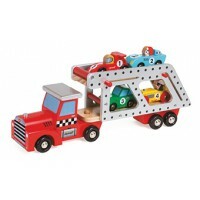 Move your machines from one construction site to the next with the Construction Truck Transporter. 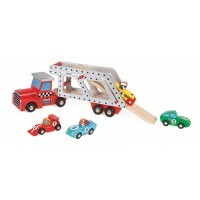 Made from wood the set includes a bulldozer and a digger that can be loaded on and off the truck with the adjustable ramp. 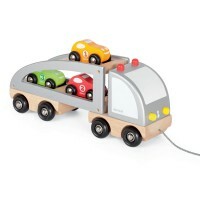 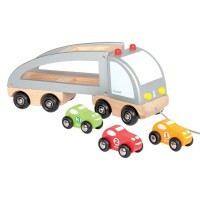 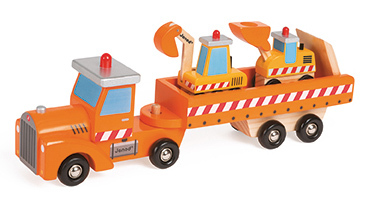 Moving wheels and a trailer that can be unhitched to use the truck separately make the Construction Truck Transporter a perfect addition to the Janod wooden vehicle range.